All of these are manufactured out of 2024 Billet Aluminum to ensure maximum strength and durability for your diesel engines valvetrain. 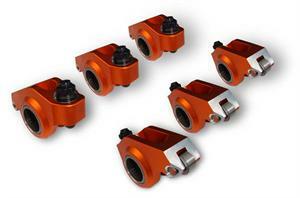 The D-Force roller rocker arms also feature a roller tip for superior friction reduction and increased performance. For use in racing applications, and with no required modifications, the D-Force roller rocker arms from Harland Sharp truly are the simplest way of maximizing your diesel engines valvetrain performance!